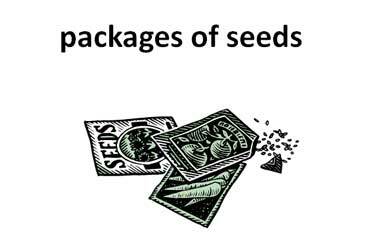 You can buy packets of seeds at a gardening shop or a department store. Instructions for growing plants from the seeds are written on the back of the packets. 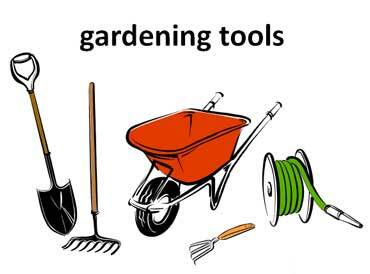 You need a shovel, rake, wheelbarrow, a hose, and a small hand tool to plant a vegetable garden. Gardening tools make gardening easy. You can store your tools in the basement or the garage. Copyrights to the pictures and photos on this ESL and EL Civics website belong to individual photographers. We have purchased the rights to use them. Contact Christina Niven, ESL teacher, at christina@elcivics.com. Please send corrections and requests for new ESL lessons. Copyright © Christina Niven, 2007.